At first glance, the Netherlands does not seem like the type of country which should top the league tables in agricultural production. With an area of just 41,500sq. km, including 7,800sq.km of open water, and a population of just 17 million, it appears to lack the people or resources necessary for large-scale production. Despite its size, the Netherlands is the second-largest exporter of food in the world, trailing only behind the United States, which is 270-times its landmass. In 2017 it broke its own export records by exporting €91.7 billion (£82.9bn) in agricultural goods, along with a further €9.1bn (£8.2bn) in machinery, fertilisers and plant protection products. Top ranking exports were vegetables, fruit, meat and dairy. For many Dutch farmers, their productivity successes stem from the country’s adoption of greenhouses. More than 4,000 hectares of greenhouses have enabled growers to adopt climate-controlled agriculture, and in a place with similar temperatures to the UK it is able to produce tomatoes which rival those from Mediterranean countries. But these greenhouses have also led to the development of recycled agricultural systems, with heat from the glasshouses being used to power local schools and swimming pools, an approach which has spread through Dutch farming and is shaping its food systems of tomorrow. About 20 years ago, the country’s Government pledged its commitment to drive sustainable agriculture, urging farmers to work towards producing twice as much food with half the resources. Their efforts have paid off. Since 2000, Dutch farmers have reduced dependence on water by as much as 90 per cent. They have almost eliminated use of chemical pesticides in greenhouses and since 2006 they have reduced antibiotic use in poultry production by 60 per cent. The success has not just been achieved by simply talking about sustainable food production, however. Talk to any farmer, processor or Government official in the Netherlands and they all use the same buzzword – ‘circularity’. The circular economy, they say, is about holding on to and making use of resources for as long as possible, and then finding ways to recycle them at the end of their life. In food systems, this means that rather than looking at simply driving yields or productivity, they look across the entire chain to understand how each element can work harder together, and how waste can be minimised at the end. IT is not just Government and big businesses which are driving the circularity way of thinking. Small family farms are focusing on the potential of circular food systems to drive profits and ensure their businesses are prepared for the future. 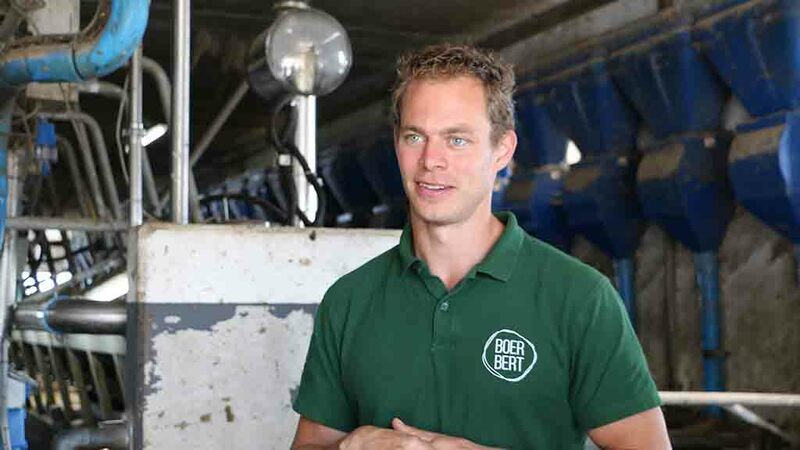 Having returned to the family business in 2008 to farm with his parents Bert and Marieke, Mr de Groot knew the business needed to expand if it was to support them all in the future. Given the farm’s location on the edge of town, expanding its 280-head herd further was not an option, so they started to look at ways to diversify and use what they had available. This meant converting redundant farm buildings into office space and a daycare centre, opening a farm shop, holiday apartments and installing solar panels. The family also term themselves as ‘environment farmers’, using Government environmental schemes to further boost their bank balance. “I am very focused on creating a circular farm and looking at how each element of the farm can use the other to be successful,” he added. “The dairy accounts for 70 per cent of our income. The shop, day centre and holiday lets account for 20 per cent, and the final 10 per cent comes from environmental projects and green energy from solar panels,” he added. “We produce 750kW/hour, using 10,000kW on the farm and selling the rest for about 12 euro cents/kW. Given the small size of the country and the proximity many farmers find themselves in to urban areas, it is perhaps unsurprising this diverse approach to food and farming is not limited to rural areas. Many of the Netherlands’ latest food and farming developments are focusing on the country’s cities and looking at ways to use technology to bring circular agricultural systems closer to consumers. JUST a few kilometres from the de Groot farm, The Green House in Utrecht – a restaurant with its own 85sq.metre rooftop greenhouse – opened its doors for the first time in April. Half-cultivated vegetables and herbs are delivered to the restaurant from local nurseries, where they are replanted and grown under LEDs which can be adjusted to control when and how long the crop grows. Waste from the greenhouse is composted and used to grow more crops, while the building itself is made from recyclable elements which can all be dismantled and used elsewhere at a later date. For Rogier Joosten, the project’s developer, the restaurant is not just about creating a sustainable farming system, but looking at ways to make every element of the food system more circular, which includes its operations, location and ingredients. The kitchen, for example, is powered by solar panels. Pizza ovens are heated using waste wood from the Dutch Forestry Commission, and ice is created from liquid nitrogen, which comes to the restaurant as a by-product from refineries. Mr Joosten said more work is needed to create a circular system, but the Dutch food system is full of entrepreneurs who are working together to share ideas and make the country more sustainable. In Rotterdam, property developers Minke and Peter van Wingerden are in the midst of developing their own sustainable urban food system. By the end of the year, they plan to have opened the world’s first floating dairy, a €2.3 million (£2m) privately-funded project which will see 40 cattle produce 1,000 litres a day from a concrete platform off the edge of the dock. The three-storey construction will include a visitor centre, function room waste water and manure recycling plant and a dairy processing facility, while their herd of Montbeliarde cattle will be milked by robots. 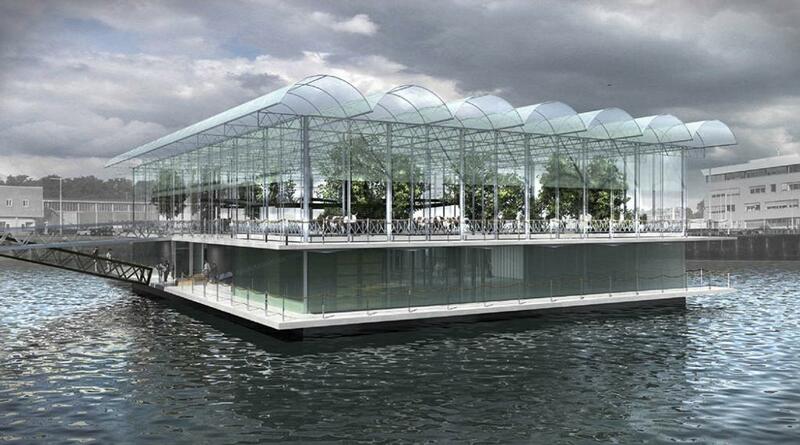 It is a plan which has raised some eyebrows in Rotterdam, but the couple believe its design could be rolled out globally across coastal and delta cities, feeding the world’s growing number of urban dwellers. By reducing the distance food has to be transported, feeding animals on processing waste and recycling waste, they also believe they have created a circular system which will reconnect people with farmers. Mrs van Wingerden said: “We have started with a dairy but we already have ideas for poultry farms and greenhouses which could sit alongside it. This way people can understand how food production works together. “When you have other farms side by side, it becomes easier to make use of each other’s waste, so it becomes truly circular.